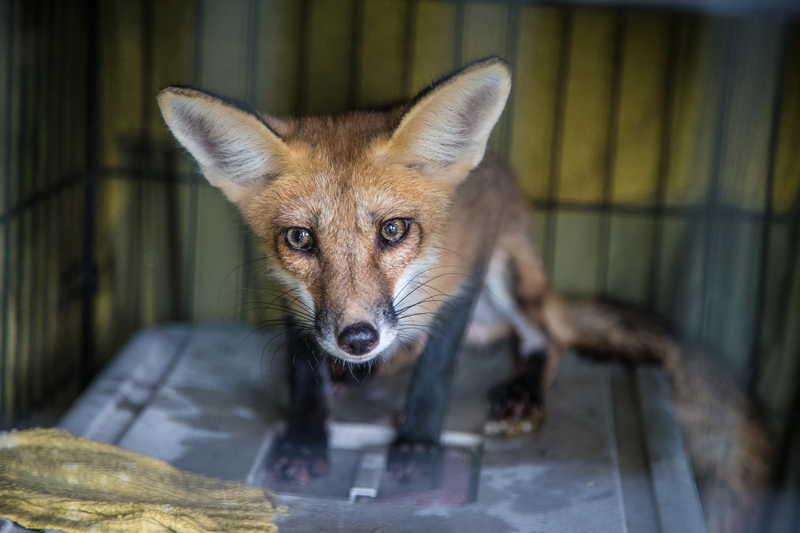 Just over a month ago we wrote about a very special case that Busch Gardens assisted us with, a juvenile red-fox. 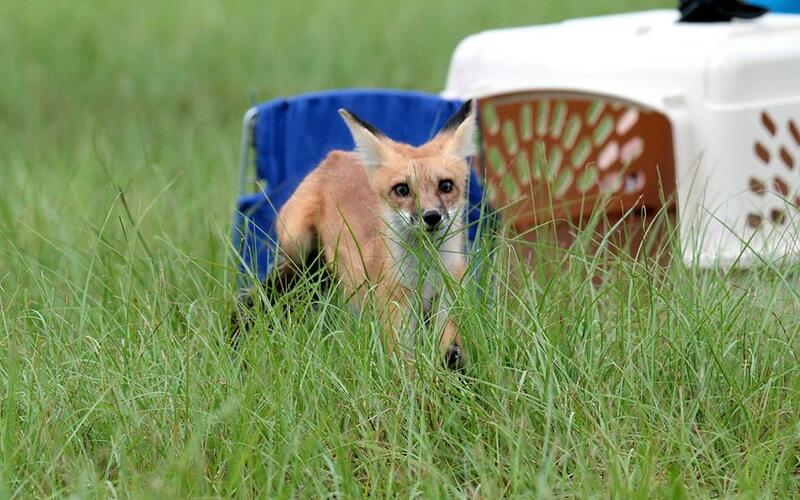 If you missed the original post you can catch up here, ‘Busch Gardens Veterinarians Assist in Red Fox Case’. After her surgery to place the rod in her leg she remained at Busch Gardens for several weeks. While in their care they continued to monitor her healing and she received numerous physical therapy sessions and cold laser therapy treatments to encourage healing. Once it was determined that the bone had completely healed the rod was removed and she was discharged back into our care. She spent the next couple of weeks in an outdoor enclosure where she was able to continue building up her strength as well as re-acclimate to the climate. Once she had sufficient time to readjust to the weather we scheduled her release. Last Thursday the big day arrived. After careful consideration we made arrangements with the owners of a very large privately owned ranch with thousands of acres of untouched wilderness in Odessa, Fl. Early that day a team of volunteers gathered to prepare for her transport and release. We placed her in a crate for the last time, loaded her into a vehicle and drove her out to her new home. 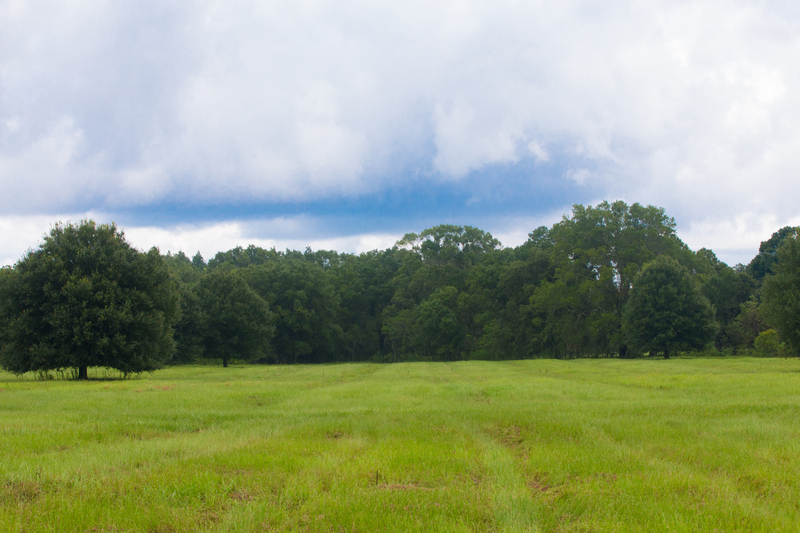 When we arrived at the ranch we selected a beautiful wide open field leading up to several acres of untouched woods. We carefully place her crate and backed away as Kris did the honor of opening the door. Following a brief hesitation to take in her new wild world she sprang forward out of the crate and frolicked through the field. She showed off her ability to stock, pounce, run and jump proving that her leg had healed and she was truly ready to survive on her own. We thank everyone who provided us the support necessary to make this release possible. Without all of our wonderful supporters it would not be possible for us to continue the great work we do.